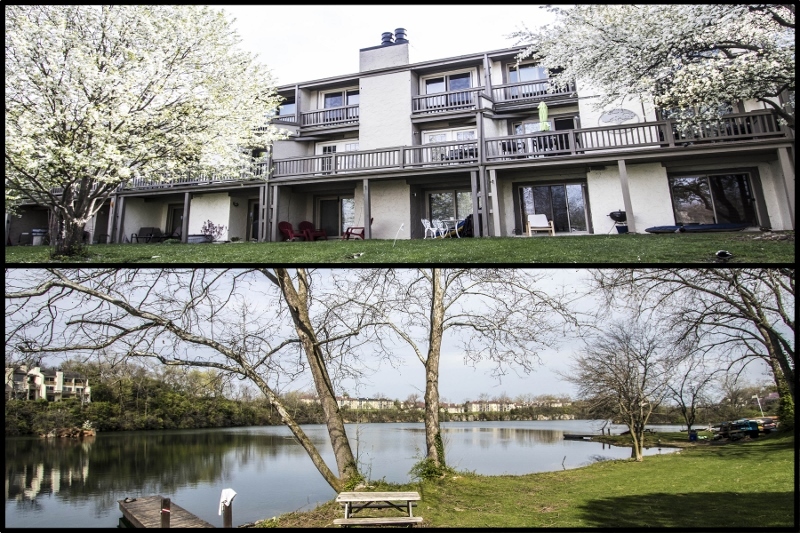 PANORAMIC, YEAR ROUND VIEWS OF HIDDEN LAKE! Waterfront condo with 1,700+ SF located in a private gated community just minutes to Grandview, OSU and Downtown! Formal Living/Dining Room. Eat-in Kitchen with updated appliances. Great Room has fireplace and 2 new sets of french doors that walk onto private verandahs overlooking the lake. Spiral staircase to Upper Level. Vaulted Master Suite with balcony, walk-in closet & private Bath. Community beach, pool, tennis courts, clubhouse & more! 2 BRs & 3 Full Baths. Only $249,900! Call DeLena today!